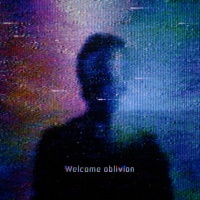 "Welcome Oblivion" is the fourth, and title, track from How To Destroy Angels' debut album, Welcome Oblivion. It was covered by Nine Inch Nails during the Cold And Black And Infinite Tour. You know what you have done? Previous track - "And The Sky Began To Scream" Track 4 from Welcome Oblivion Next track - "Ice Age"
This page was last modified on 19 April 2019, at 22:08. This page has been accessed 12,698 times.